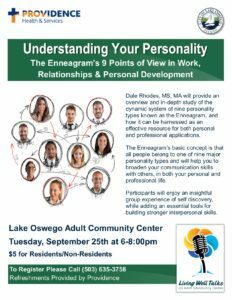 Dale Rhodes, MS, MA will provide an overview and in-depth study of the dynamic system of nine personality types known as the Enneagram, and how it can be harnessed as an effective resource for both personal and professional applications. 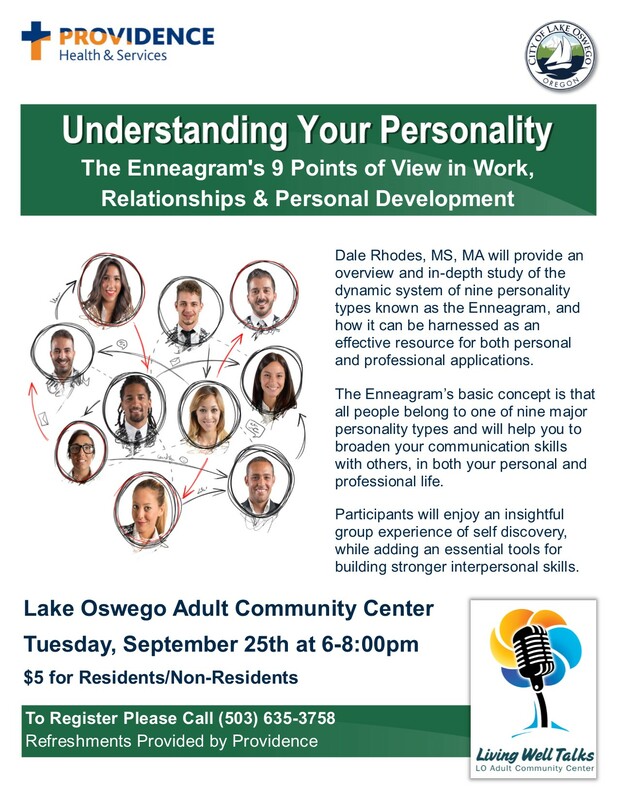 The Enneagram is based on the concept that all people belong to one of nine major personality types. Basic knowledge of the ‘Nine Points of View’ will help you to broaden your understanding and communication skills with others, in both your personal and professional life. Participants will enjoy an insightful group experience of self- and other- discovery, while adding an essential tools for building stronger interpersonal skills.